From Warner Bros. Pictures and Metro-Goldwyn-Mayer Pictures comes the romantic drama Everything, Everything, directed by Stella Meghie and based on the bestselling book of the same name by Nicola Yoon. 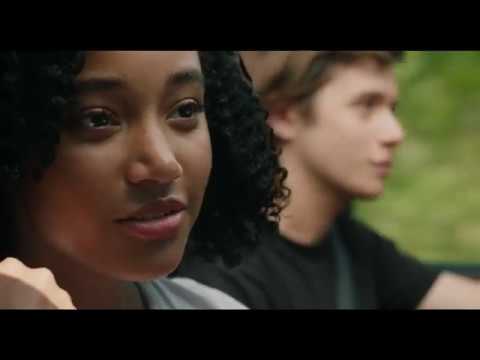 Everything, Everything stars Amandla Stenberg (The Hunger Games) as Maddy and Nick Robinson (Jurassic World) as Olly. The film also stars Ana de la Reguera (Sun Belt Express) and Anika Noni Rose (Dreamgirls). Meghie (Jean of the Joneses) directs from a screenplay by J. Mills Goodloe (The Age of Adaline). Leslie Morgenstein and Elysa Dutton are producing under the Alloy Entertainment banner; Alloy is also responsible for creating the hugely popular Gossip Girl, Pretty Little Liars and The Vampire Diaries. Victor Ho is serving as executive producer. The behind-the-scenes creative team includes director of photography Igor Jadue-Lillo (The Kids Are All Right); production designer Charisse Cardenas (American Sniper); editor Nancy Richardson (Insurgent, Divergent); and costume designer Avery Plewes (Jean of the Joneses). The music is by composer Ludwig Göransson (Central Intelligence, Creed). An Alloy Entertainment production, Everything, Everything is set for release on May 19, 2017. It will be distributed worldwide by Warner Bros. Pictures, a Warner Bros. Entertainment Company, and in select international territories by Metro-Goldwyn-Mayer Pictures. The film has been rated PG-13 by the MPAA for thematic elements and brief sensuality.